The first batch of ultrabooks are off to an uninspired start with sales expected to land well short of manufacturers' early projections. Sources speaking with DigiTimes say that Acer and Asus are expected to hawk around 100,000 units each by the end of this year -- far less than their original target of moving 200,000 to 300,000 machines. Ultrabooks are intended to be trendy thin and light systems with plenty of horsepower and battery life. Along with bringing some Windows-based competition to the MacBook Air-dominated segment, the compact notebooks also serve as a stopgap against fleeting netbook sales (Intel's Atom platform has yet to gain traction with tablets). Although manufacturers have largely met those guidelines, they haven't been able to do so at an appealing enough price, apparently. Pricing is mostly on target in the US and Europe, but that isn't the case in Asian markets.The sources said Taiwanese pricing puts Asus' 11.6 and 13.3-inch ultrabooks at the rough equivalent of $1,205 to $1,660 -- well beyond the sub-$1,000 territory Intel is aiming for. Likewise, Acer's 13.3-inch Aspire S3 is priced at the equivalent of $1,101 in Taiwan, which is said to be $100 more expensive than a similarly equipped MacBook Air. Given the shaky performance so far, Acer and Asus are reportedly hesitant to ramp up orders. Despite the "unclear market demand," the sources believe ultrabooks could account for 10% of the entire notebook market by next March or April when Ivy Bridge-based models start rolling off the assembly line. That figure is "likely" to reach 20 to 30% by the fourth quarter of 2012, coinciding with the launch of Windows 8. Toshiba, HP and Lenovo are expected to join Acer and Asus in the near future. 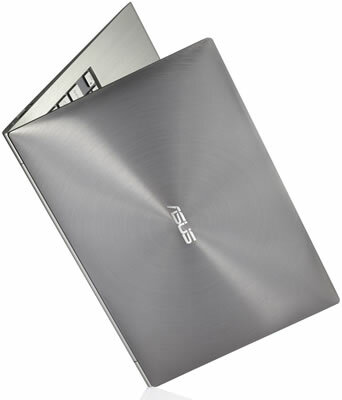 Some ultrabook-makers are undoubtedly waiting for CES 2012 in January.